Posted April 14, 2019 at 12:08 am . 0 comments. Today’s B&H DealZone (one-day deal) features a combo of the Manfrotto Advanced Travel Backpack (Black) and Manfrotto BeFree Compact Travel Aluminum Alloy Tripod for only $199.99 — this is a $65 savings from the regular price of $265 ($95 + $170) for this kit. 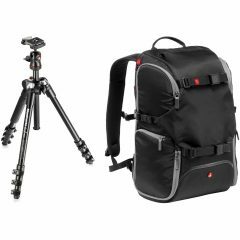 Both items are highly reviewed, the tripod and bag come with a 10-year and 3-year Manfrotto warranty, respectively, when you register the products. This deal is today only or until sold out. Posted April 13, 2019 at 4:21 pm . 1 comment. Massdrop has the Tamron SP 24-70mm f/2.8 Di VC USD G2 for only $850.00. 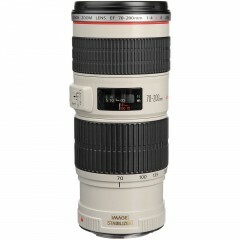 This is an excellent price for this newer “G2” version of the lens. Compare with a regular price of $1199. 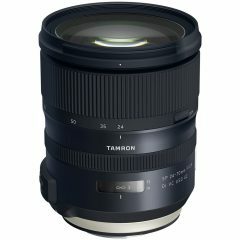 Free shipping and Massdrop‘s site indicates that this comes with Tamron’s 6-year warranty. Canon and Nikon mounts are available. Posted April 13, 2019 at 9:20 am . 0 comments. 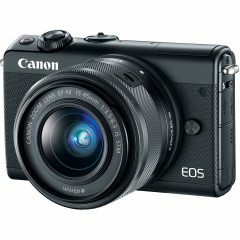 Street price dealers are now clearing out the EOS M5 + 15-45mm and the EOS M5 + 18-150mm. 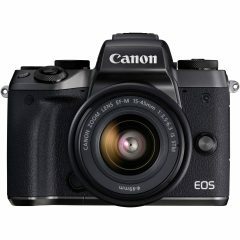 Both deals are now heavily discounted and come with a free EF-EOS M mount adapter. These are from authorized dealers so a 1-year Canon USA warranty is included — free shipping and no tax collected to any states. Posted April 12, 2019 at 9:07 am . 1 comment. Today’s B&H DealZone (one-day deal) features the BlackRapid Lens Bag for only $9.95 — save $15 (60%) from the regular price of $25! This deal is for two-days only (until Saturday 11:59 PM ET), but please note B&H ordering does close on Friday evenings. This lens bag has an interior divider for configuring between one small and one medium, or one larger lens. 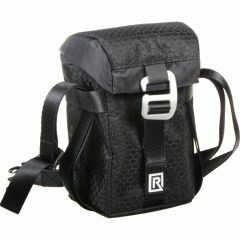 It comes with a carry strap and is compatible with the BlackRapid Breathe Straps.